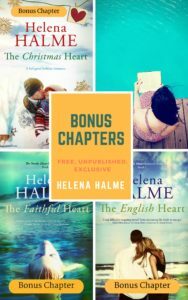 Would you like to read FREE and unpublished bonus chapters from The Nordic Heart series? Here’s your chance to get three extra chapters for Books 1, 2 and 5 in the series. Read on to find out how you can delve deeper into the stories! I hope you enjoyed reading The Nordic Heart series! If you’d like to know more about Peter and Kaisa’s story, you can now sign up to my Readers’ Group mailing list and get exclusive, unpublished bonus chapters. Sometimes at the end of a book, it’s difficult to leave the characters you love, and I guess that is why I ended up writing a series of books. What’s more, I also decided to write extra chapters for the books in The Nordic Heart series. So far I’ve written three chapters, one for The English Heart (Book 1) and one The Faithful Heart (Book 2) as well as one for the latest instalment in the series, The Christmas Heart (Book 5). The bonus chapters for The English Heart and The Christmas Heart are from the end of the book, but for The Faithful Heart it’s from the middle of the novel and takes you to the assignation between Kaisa and Duncan. This part of the story is quite a steamy, so be warned! These chapters are not published and are only available to readers on my mailing list. 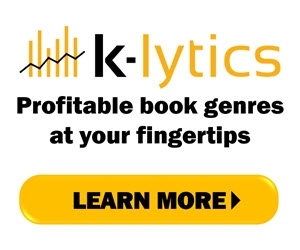 To sign up and get free, exclusive and unpublished bonus chapters, click here.